Gold Start is a low-salt fertilizer that is an 80% ortho/20% poly blend that can be safely banded in-furrow during planting or foliar applied. Diamond is a low-salt fertilizer that is 100% orthophosphate that can be safely banded in-furrow during planting or foliar applied. Premium is a low-salt fertilizer that is a 50% ortho/50% poly blend that can be safely banded in-furrow during planting or foliar applied. PureGrade Foliars are a wide range of slow release nitrogen, N-P-K fertilizers and micronutrient blended specially for foliar application to meet nearly any crop nutrient need. MicroSolutions line of high-quality liquid chelated micronutrients can be blended with liquid fertilizer to help correct and/or prevent micronutrient deficiencies. Compatible with all types of fertilizers including 100% orthophosphate products and many herbicides and insecticides. 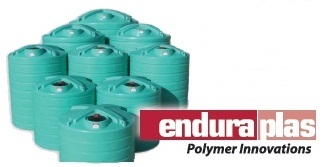 Available in 2.5 gallon jugs, 250-gallon totes or in bulk. Boron, Calcium, Copper, Manganese, Zinc, Iron and blends of Corn Mix, Soybean Mix and RGS - Root Growth Stimulator. AVAIL Phosphorus Fertilizer Enhancer is a unique formulation designed to minimize fixation and maximize your fertilizer investment. By shielding applied phosphorus from the elements that lock it in the soil, more of it is kept available to the growing plant. This added efficiency can lead to healthier plants, more flexibility in your application schedule and better overall value from your fertilizer investment. 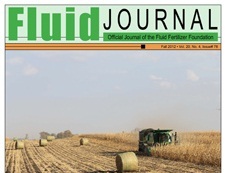 Purpose: to develop and advance innovative, profitable and agronomically sound fluid fertilizer application techniques and nutrient management systems for modern high yielding production systems. A national 30-minute weekly program on RFD-TV focusing on agronomics and the skills farmers must develop to grow stronger, healthier and better-yielding crops. Ag PhD TV began in April 1998. Weekly ½ hour show on RFD-TV covering topics such as: how to pick the right herbicides for your farm, how to better fertilize your crops, and how to stop those yield-robbing insects and diseases. Website and monthly newsletter focusing on the eve- expanding use of no-till techniques and practices. This publication aids in the identification of more than 20 of the most important insect pests in corn in the north-central United States. Identification is based on symptoms of crop injury rather than insect taxonomy. This guide was prepared to help growers and crop advisors identify problems found in corn fields so that proper corrective measures can be taken to insure as successful production as possible. For any corrective action to be successful, early detection is essential. A properly designed integrated crop management program uses field-specific information acquired through scouting to protect soybean plants from pests and other stresses. Accurate identification of crop pests and stresses is an essential part of management decision-making. This diagnostic guide is a comprehensive and systematic approach to identification of soybean production problems.